If you've been searching homes for sale in the Madison area, then you have probably come across some property that said, "This property is a short sale and subject to bank approval" Have you ever seen this before? Basically, this means that the current list price is LESS than what the owner owes on their mortgage. In order for a sale to take place, either the seller needs to come up with the money that they are short, or the current mortgage holder (bank) needs to approve taking less than what is owed. 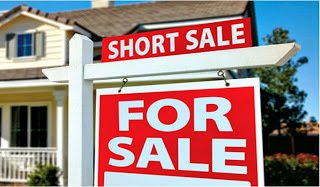 The biggest thing to know about a short sale is that they are not "short" on timing or easy to do. From a buyer's perspective, on a regular transaction you submit an offer and then the seller makes a decision to accept, reject, or counter. This might take a day or two. With a short sale, you will still need to get the seller to approve. Then you need to have the current mortgage holder to approve. Then there is an approval from the loss mitigation department. Then you will ultimately need final approval from the investor of the mortgage (usually Fannie Mae or Freddie Mac). As you can see it's not a simple one step process. On the other hand, if you're willing to be patient, then sometimes you can get a good deal. From the seller's perspective, this is a "pre-foreclosure" stage and they are usually trying to do a short sale rather than go through a bankruptcy or foreclosure. Often times this is due to some financial difficulty (loss of job, divorce, etc) and can be emotionally challenging. From the bank's perspective, they are in the business of making loans and risk management. As you can imagine, if they made a loan of $200,000, they want to get paid back $200,000 plus interest. If they can’t get paid, their remedy is to foreclose, which is expensive, time consuming, and puts them in the business of taking and selling homes rather than making loans. On the other hand, going through a short sale and getting paid a little short of the full amount today might be better, less expensive, and faster than going through the entire foreclosure process that could take 6 to 24 months. It saves them legal fees, delay, and the costs of taxes, utilities and eventually selling the home. As you can imagine there's a lot of variability with the short sale process and having a good agent helping to facilitate this process is imperative. I have had some short sales get approved in as little as a week and I have had others be approved after a year. To further discuss home buying or selling in the Madison area, feel free to reach out to us when you are ready.